A number of youth who desire employment or a rise in pay grade have already been fleeced with others about to fall prey in a Shoprite Uganda Supermarket job scam. A Facebook post from an account named; Jobs Agency Uganda, on Monday published a series of job vacancies allegedly attached to the popular supermarket chain- Shoprite. “New employment opportunities at shoprite Uganda. Our client African chain of Supermarkets is expanding its market in Uganda by opening new branches. 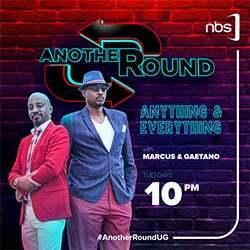 Open New Branches in the following Ugandan Towns; Kasese , Jinja, Gulu, Kabale, Entebe, Arua, Fort portal, Mukono, Tororo and Mbarara,” the post reads. “The minimum entry qualification for interview for the above advertised jobs is UCE Certificate for casual workers and Diploma and above for Cashiers, Accountants, Secretaries, Customer care, receptionists and Supervisors. All Applicants must be 18 years and above to be eligible to apply. Interested candidates should make online Application on or before 13th September, 2018, Interview will be on 18th and 19th September and work begins on 1st October in all mentioned towns,” the posting continues. The post would later lead those interested to a link which asks for a sum of money to be paid through a Mobile Money account registered under a one Suudi Mwondha. 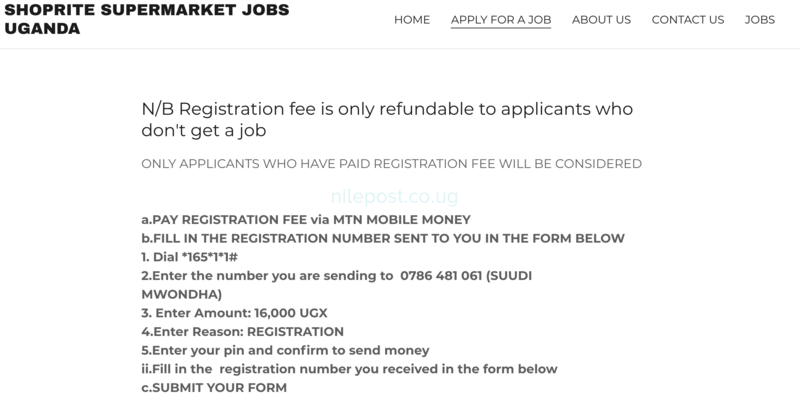 According to other rules to file an application, any applicant would have to part with Shs16,000, a National ID number and answer whether they are available to work Sundays. The agency further promises that the jobs will earn a salary of above Shs700,000. When Nile Post contacted Shoprite Uganda, the supermarket dismissed any recruitments. “That advert is not ours,” the branch manager for Shoprite Acacia Mall said.